What If the flash isn’t working or won’t turn off when taking photos? Learn about how to troubleshoot if the flash won't work or won't turn off. 1. Check the battery level. 2. Flash cannot be turned on when the battery is lower than 15%. 3. Check your flash settings. 4. Open Camera app, clickImage , then click On to turn on flash. 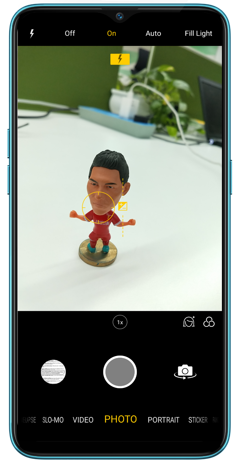 When you click Auto, your phone will automatically detect lighting conditions and determine if flash is necessary. Your phone will disable flash when HDR is enabled. Make sure HDR is turned off. 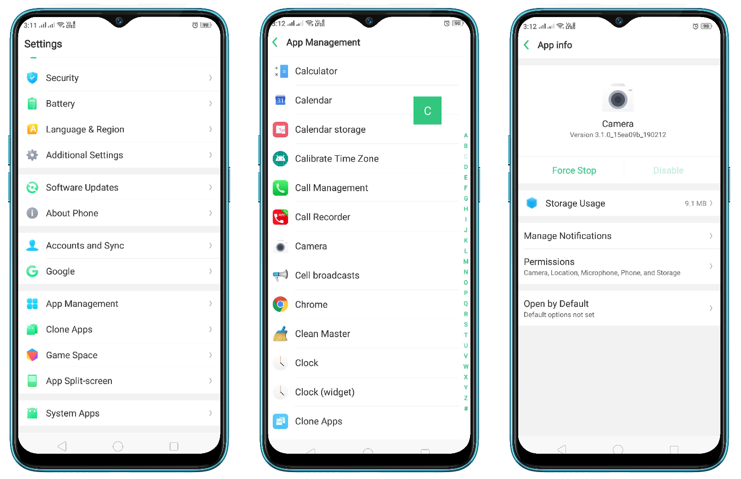 For ColorOS 5.2: Go to [Settings]> [App Management]> [Show System Processes] > [Camera > [Storage use] then click [Clear data] & [Clear cache]. Go to [Settings] > [Software Updates] and update your phone to the latest update. If your flash won't turn off. Check if the flashlight is turned on. Swipe from the bottom of the screen to open Control Center, then turn off flashlight. 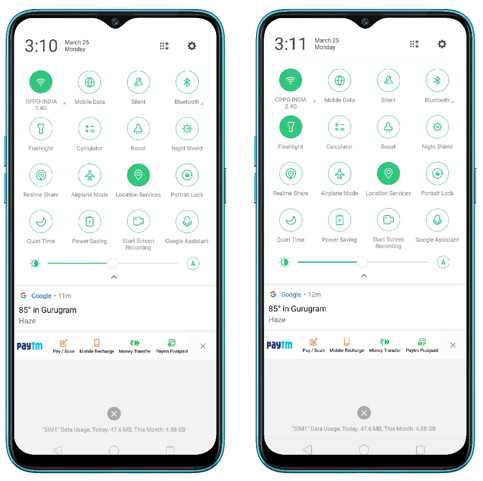 How to Set up date and time on realme smartphone?